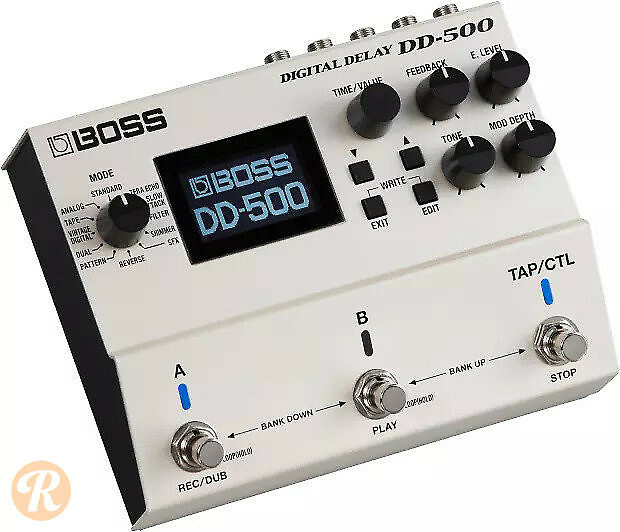 The Boss DD-500 sports 12 distinct delay effects including standard, analog, dual, pattern, reverse, and shimmer. The pedal features dedicated knobs for feedback, effect level, tone, modulation depth, and delay time to control your sound. A looper is also available on the DD-500, as well as an expression pedal input, stereo ins and outs, and MIDI ins and outs.